In 2011, EBA engaged Substance151 to reposition the firm and develop a brand that would support its future goals, while leveraging EBA’s strengths and longevity of experience. The previous version of the website was launched as a part of that initiative – translating the new brand into a compelling online experience. In 2015, we’ve identified several factors that made this an opportune time to consider a refresh and worked with the EBA marketing and leadership teams to develop a plan for implementing updates. 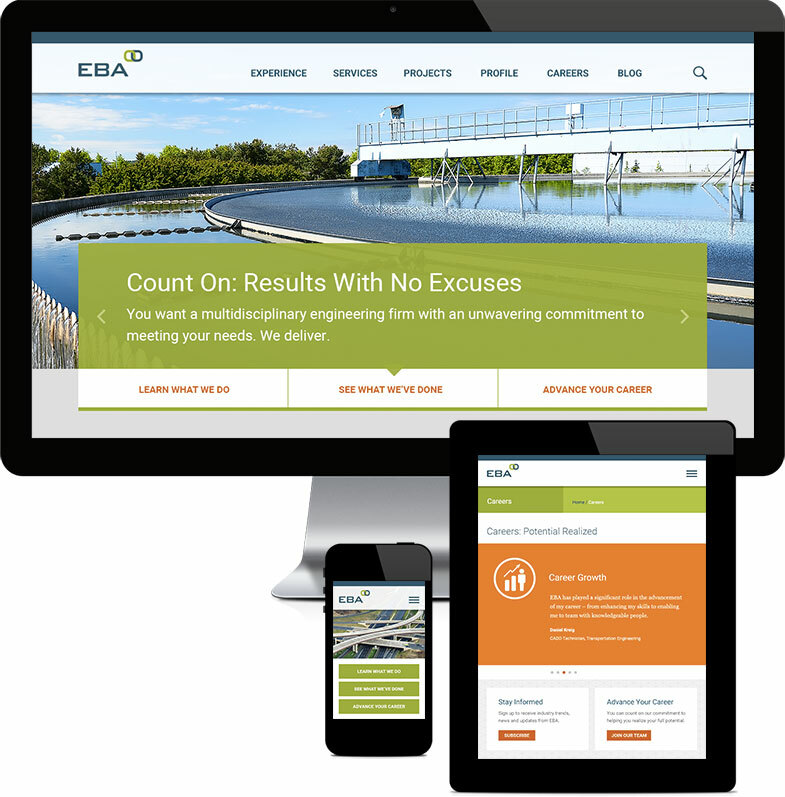 As a result, the website is now running the latest version of Drupal CMS; is fully responsive; and provides better support for EBA’s digital marketing and PR efforts.